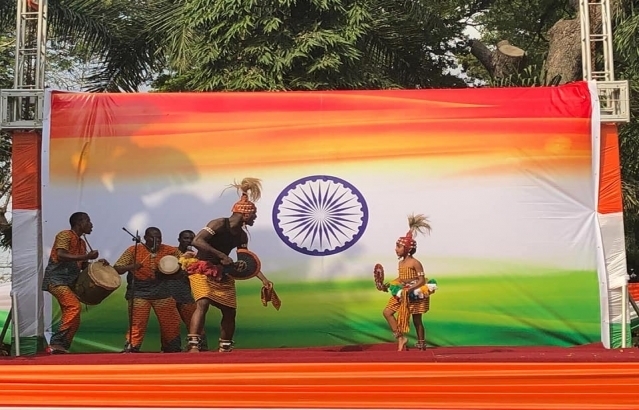 70th Republic Day of India was celebrated with patriotic fervour and gaiety at India House, Accra. High Commissioner unfurled the national flag followed by singing of national anthem. High Commissioner read text of address to nation by Honble Rashtrpatiji. 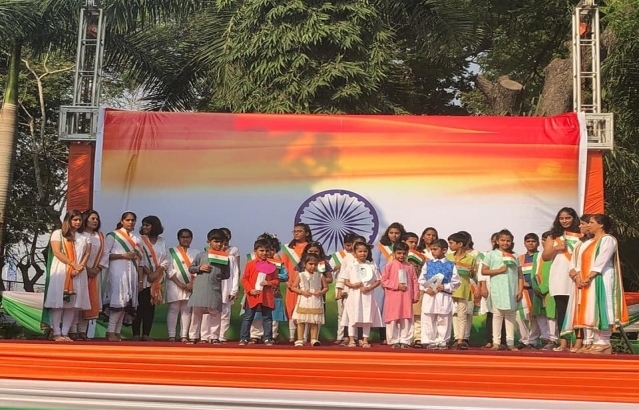 Children from DPS International School, Al Ryan School, Lincoln Community School, Bal Vihar and a cultural institute presented song, dance and skit on patrotic themes. 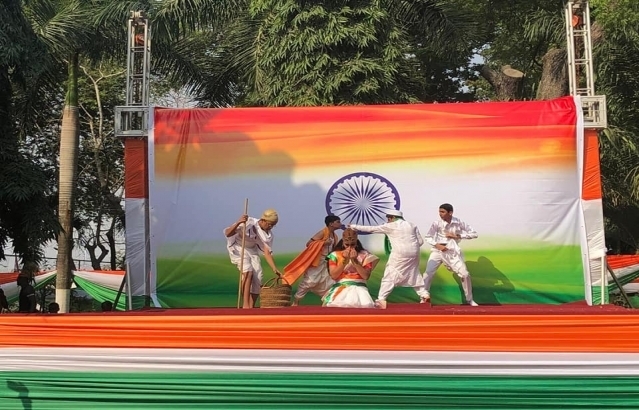 Prizes were awarded to winners of an On the Spot Painting Competition on the theme quotCelebrating 150 years of Mahatmaquot held on 7 October and winners of events organized on World Hindi Diwas. RD celebration was attended by large number of Indian Community members, PIOsOCIs and friends of India.